♥Outside my window… Bright, crisp clouds set alight by the sun rising over the ocean. ♥I am thinking…Dear Daughter’s doing much better in math than she ever has. Doing well, I even deign to say. ♥I am thankful for… the silliness of our three dogs, particularly the terrier and the pup, who is taking her nap under my computer chair. A nap at 9:30 in the morning is what happens when you get Mom and Dad up at 5:00. Unfortunately, the morning nap is for the pup, not for the humans. Never mind. She just got up and started playing again. ♥I am wearing… my Hawaii volcano t-shirt, jeans, and boots. ♥I am remembering… 21 years ago today when I married the man of my dreams. He’s both gentle and strong, both bright and thoughtful, both intelligent and funny. ♥I am hoping… that this meme will prime the pump and I will get two chapters written on my novel today. So close to done with the whole thing that it hurts. ♥On my mind… what is the dog chewing on now? ♥One of my favorite things… The marbled blues of the ocean. ♥From the learning rooms… printing out LAST SEMESTER’S papers. To live in concentrated wretchedness and gloomy excitement is a silly choice to make, don’t you think, when there is a living Savior? 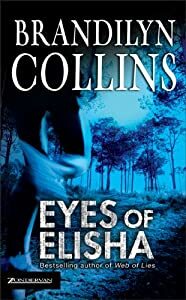 ♥I am reading… I’m alternating between Dostoevsky’s Crime and Punishment, and Brandilyn Collins’ Eyes of Elisha. Collins has a way with really vivid imagery. I’m thinking of the scene where the main character was attacked in her home, and her husband finds her in the corner of the bathroom surrounded by scissors, tweezers, anything she could find as a weapon. ♥From the kitchen… Ugh. Have to think of what to have for dinner tonight. Chili’s probably a good plan, since I have writer’s group this evening. ♥Around the house… Laundry, dishes, vacumming and dusting. In other words, I need to clean the house. ♥A few plans for the rest of the week… to buy a new dog kennel for a growing pup. We love our Nikki! As you can see, it’s a good thing Nikki’s so cute! We love her!